You might have noticed that things look a little different around here now, and that's because all summer I've been planning and working on a complete redesign of 'Namaste, Rowan'. With the help of Blogger's template tools and a little html know-how, I've managed to create a much sleeker and cleaner webspace. I've also created an 'about' section, pages for my contact details and post categories, and designed my own little archive, all of which I hope will make navigating the site much easier. 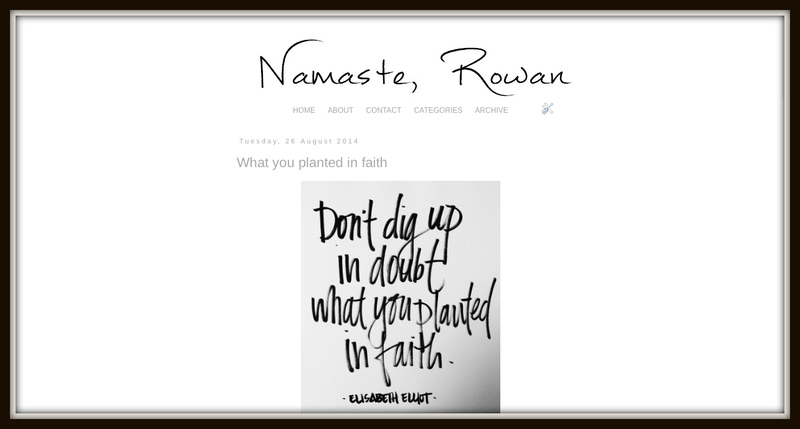 To go alongside the new look, I've also created a 'Namaste, Rowan' Facebook page so that those of you who don't use Bloglovin' can keep up to date with the posts on here. I hope you like the new design, and if you have any feedback please don't hesitate to get in touch – I'd love to hear what you think.